One of my favourite examples of linguistic innovation in Tanzania was the rapid transformation in 1996 of a politician’s name into a term of ridicule in Swahili. Ramadhani Kihiyo became CCM MP for Temeke constituency in Dar es Salaam in the first multi-party general elections in October 1995. But his election was challenged, and in the subsequent petition hearing it emerged that he had lied about his academic qualifications (there’s a nice summary of these proceedings in Tanzanian Affairs, No.55). Kihiyo resigned his seat at the end of May 1996, and his name became a byword for fake certificates and invented resumés. I remember this well because it was the running joke among my travelling companions (government officials and a driver from Dar) when I was visiting villages in Pawaga, in Iringa District, in September 1996. ‘Fulani ana kihiyo’, and the plural form ‘Fulani ana vihiyo’, ‘So-and-so has bogus qualifications’, was the expression I heard in endless variations and hilarious applications as we drove along the dusty dry-season roads. As this became widespread usage in the country it was said that people who shared Kihiyo’s Sambaa name were dropping it to avoid its unfortunate associations and the embarrassment thus caused. Fortunately for them, time has since begun to erase memories of the Kihiyo scandal, and many Tanzanians don’t know what a kihiyo is, though the practice it refers to is all-too familiar. A quick search of the internet produces a few examples, all of them using kihiyo as a term for the person with the invented qualifications (e.g. ‘huyo kihiyo!’, ‘that faker!’) rather than the made-up achievements (paper or otherwise) themselves. The only other example of eponymy in Swahili that I can think of was coined during the Lewinsky scandal in 1998, when US President Bill Clinton’s extra-marital relationship with White House intern Monica Lewinsky was a major international news story. Among at least some urban Tanzanians kumk(i)linton mtu, ‘to “clinton” someone’, is now a jocular euphemism for fellation, kunyonya (lit. ‘sucking’) in everyday Swahili. If this was an English expression you’d expect it to be a reference to whatever the president did to his young intern. But as Clinton told the courts, he didn’t really do anything, and the Swahili slang refers to the act that Monica is alleged to have performed on him. So while it would be correct to say that Monica “clintoned” Bill (Monica alimklinton Bill), you can’t use this eponymous verb to say that he had “clintoned” her – or indeed any other woman. It is possible, however, for one man to “clinton” another, linguistically-speaking that is. 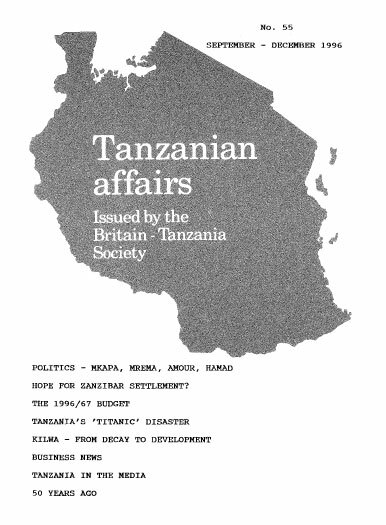 It’s perhaps no coincidence that these two examples of contemporary eponymy derive from political scandals and the prominence given to them in the newly-liberalised Tanzanian media. But the first seems not to have stuck and I don’t know how widely used or understood the second is, beyond the circle of Zanzibari women and Bongo dwellers that I’ve heard it from. I can’t imagine seeing the likes of ‘kihiyo, n. vi-’ or ‘k(i)linton, v.’ in a printed Swahili dictionary anytime soon, but would love to be proved wrong. Great post! Gives me a great idea for research.